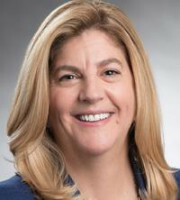 Lisa M Tittemore is co-chair of the Sunstein trademark group and co-chair of the litigation group. She provides strategic counsel to clients on domestic and international issues, guiding the firm’s efforts in protecting and enforcing clients’ valuable brands and ideas. She is a seasoned litigator, serving as lead counsel in patent, trademark and copyright litigation throughout the United States. Ms Tittemore is a member of the firm’s executive committee. With more than 20 years’ experience, Ms Tittemore counsels clients on trademark portfolios, including in the fields of pharmaceuticals, high-tech, consumer and retail products. She prosecutes trademark applications before the USPTO and is lead counsel in proceedings before the TTAB and the Federal Circuit Court of Appeals. Ms Tittemore works with an international network of attorneys on prosecution and enforcement of trademarks for US clients with global interests. She shares her expertise in US prosecution and enforcement working with clients from outside the United States. Ms Tittemore provides pro bono representation to clients across a wide range of issues and is particularly proud to provide pro bono services to GoodWeave, a non-profit organisation that was founded by one of the recipients of the 2014 Nobel Peace Prize. Ms Tittemore is a member of the Boston Bar Association (BBA) Council. She is a former president of the Federal Bar Association, Massachusetts Chapter and past co-chair of the litigation section of the BBA. She is a mentor with the Women’s Bar Association of Massachusetts. Ms Tittemore was selected for inclusion in Best Lawyers in America (2017-2019) for intellectual property – litigation. She was recognised as a Women Leader in Law in Fortune and Boston Magazine. She has been on the Super Lawyers list in the practice area of IP litigation for 14 consecutive years (2004-2018) and in 2018 was named to the related Top 50 Women Attorneys and Top 100 Attorneys in New England. Ms Tittemore has the highest peer review rating by Martindale-Hubbell.